What Does It Mean to Be FHA Approved? Federal Housing Administration (FHA) loans are insured by the government to increase the availability of affordable housing in the U.S. FHA loans are often recommended for borrowers with low to moderate income who are unable to make large down payments. Borrowers with lower credit scores and those who cannot get approved for private mortgage insurance may also be eligible for an FHA loan. 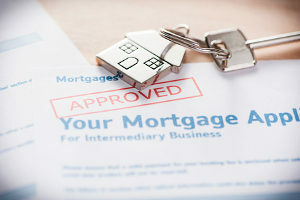 To meet FHA guidelines, all lenders and properties must be approved by the agency. While this type of mortgage has many perks, they are not for everyone. Understand what you can expect during the process and what it means to be FHA approved. Down Payment: With an FHA loan, borrowers can buy property with a small down payment. Typically, a down payment of 3.5 percent is all that is required for home financing. Other types of loan programs require a larger down payment. If you have more money to put down, it can be advantageous to apply a larger down payment. Gift Payments: Some types of mortgage programs frown upon using other people’s money to put towards a down payment or closing costs. However, FHA loans make it easier to use gifts for these payments. In addition, FHA loans allow sellers to pay up to 6 percent of the loan amount of the buyer’s closing costs. Assumable Option: If your FHA loan is assumable, a buyer is able to take over your loan. This means that the person buying your home will pick up where you left off, which can result in lower interest costs. In some cases, a buyer is able to attain a low-interest rate from another institution. Financial Reset: If you have struggled with foreclosure or bankruptcy, you may believe that purchasing a home is out of reach. Fortunately, that is not true. Most borrowers are able to qualify for a FHA loan just two to three years after a major financial hardship. Overall, FHA loans are much easier to qualify for than other types of mortgage loans. To qualify for an FHA loan, a borrower must have a 10 percent down payment or a credit score of at least 500 for 90 percent LTV. As your credit score raises or lowers, the terms may change. With a score below 580, you are less likely to be approved. If you are a borrower with a credit score of 580 or above, you may be required to put down a mere 3.5 percent down payment. Due to these flexible mortgage options, approximately 40 percent of all U.S. home loans are FHA. How Can I Acquire an FHA Loan? 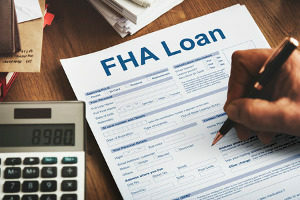 While FHA loans are known for having less strict requirements than conventional loans, you must still go through the process to see if you qualify. You must meet most, if not all, requirements to qualify for a mortgage loan. You must show proof of a minimum of two years of steady employment in the same line of work. The documents must also show that your income has increased or remained the same during this time. If you have gone through foreclosure or bankruptcy, you must show that the discharge date was not within the last two years of the FHA case assignment date in the case of bankruptcy or three years in the case of foreclosure. If your foreclosure was related to a HUD loan, you may not qualify for a FHA loan. 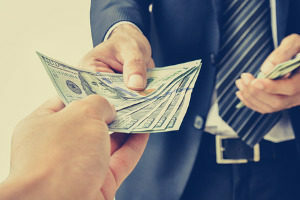 You must have cash in hand to pay for the down payment on your loan. The minimum cost of your down payment will typically be 3.5 percent of the purchase price. In some cases, this cash can come in the form of a gift from a friend or family member. Even if your loan application is approved, it is still possible to be denied the loan if the property does not pass inspection by an FHA-approved appraiser. The appraisal cannot be ordered by the borrower, but by the lender or broker. During the appraisal, the value of the property will also be taken into account. If the appraisal is successful, the broker will have you complete the FHA loan transaction by signing the closing papers. During this time you will also need to pay the closing costs on the property, which are typically 3.5 to 4 percent of the purchase price of the new home. While FHA loans have many perks, they may limit your buying options. To determine if you are a good candidate for an FHA government-backed loan or to get pre-approved, contact a mortgage broker in your area.